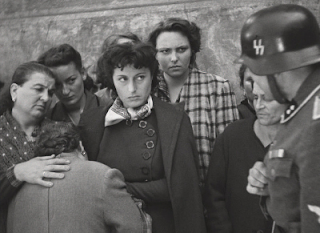 Anna Magnani, who found fame for her performance in Roberto Rossellini's neorealist classic movie Rome, Open City and went on to become one of only three Italian actors to win an Academy Award, died on this day in Rome in 1973. She had been suffering from pancreatic cancer and her death at the age of just 65 shocked her fans and close friends. Rossellini, with whom she had a tempestuous affair before he ditched her for the Swedish actress, Ingrid Bergman, was at her bedside along with her son, Luca. The American playwright Tennessee Williams, who wrote the part of Serafina in his play The Rose Tattoo specifically with Magnani in mind, was so devastated he could not bring himself to attend her funeral. Instead he sent 20 dozen roses to signify the bond they developed while working together. 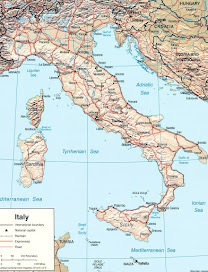 When Williams was in Rome they would meet for cocktails on the roof-top terrace of her home, overlooking the city, always at eight o'clock - "alle venti" in Italy, where times are generally expressed according to the 24-hour clock. 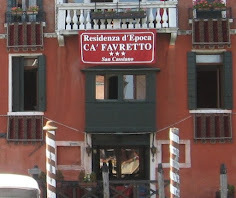 They would sign off letters and telegrams to one another with the words "Ci vediamo alle venti" or "See you at eight." The funeral procession attracted huge crowds. Many business closed and many streets were shut to traffic as Magnani's coffin was taken to the Basilica di Santa Maria sopra Minerva, near the Pantheon in central Rome, where the service took place. 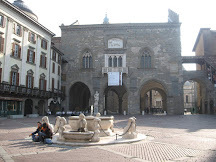 The Piazza Minerva was thronged with people, who broke into spontaneous cheering when the coffin appeared. 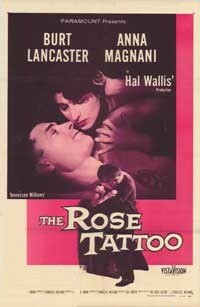 It was the movie version of The Rose Tattoo, for which Williams wrote the screenplay, that won Magnani her Oscar in 1955, playing opposite Burt Lancaster. 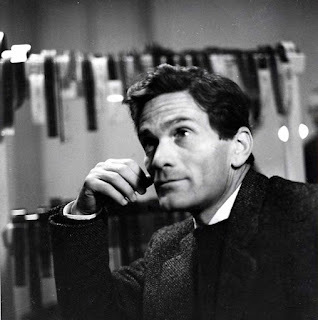 She was the first of two Italian actresses to win the Academy Award, to be followed six years later by Sophia Loren for Vittorio di Sica's La Ciociara, which was renamed Two Women for the American market. Roberto Benigni is the only Italian-born male actor to win an Oscar, for Life is Beautiful in 1998. 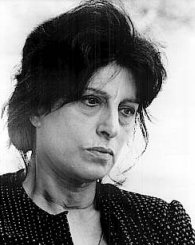 Magnani's acting was notable in that she was able to bring her own personality, her affinity with the ordinary people she grew up with, to her roles, in which she was often cast as a coarse woman of working class background. 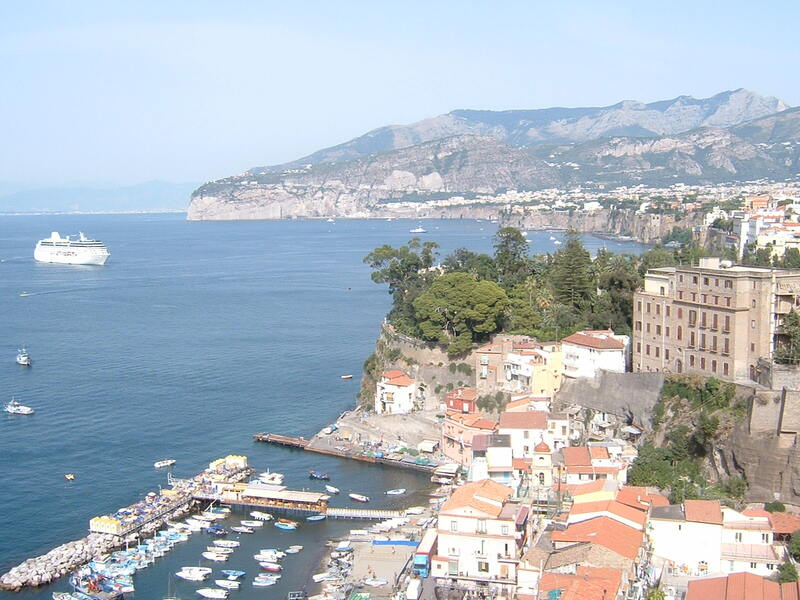 She had a tough upbringing, raised largely by her grandparents in a poor part of Rome, the product of a short-lived marriage between her Jewish-Italian mother and a father she never met, supposedly of Egyptian origin. Some biographical notes suggest she was born in Egypt but Magnani herself insisted that while her mother may have been in Egypt when she fell pregnant, she had moved back to Rome and was living in the Porta Pia area by the time she gave birth. Her grandparents managed to enrol Anna in a French convent school, but she said she felt more at home with the more down-to-earth people in her own neighbourhood and became street wise at a young age. She was attracted by the idea of acting and began attending Rome's Academy of Dramatic Art at the age of 17, supporting herself by singing in cabarets and nightclubs, where her performances drew comparisons with the French singer, Edith Piaf. She had her first film role in the 1920s, although it was 20 years before her breakthrough in Rossellini's 1945 movie Rome, Open City, which is generally regarded as the first film in the Italian neorealist genre to achieve commercial success. Magnani's performance as the wife of an Italian resistance fighter murdered by the occupying Germans forces as she tries to protect her husband was acclaimed for its brilliance. Although she was not regarded as a conventional beauty, she had an earthy sensuality that audiences found captivating. Her relationship with Rossellini, often punctuated with violent rows in which they were renowned for throwing crockery at one another, foundered after five years, when Rossellini began an affair with Bergman, reneging on a promise to make Magnani the star of his film, Stromboli, and giving the role instead to the Swedish actress. Yet Magnani's career never faltered and she went on to work with many of the great Italian directors, such as Luchino Visconti, Pier Paolo Pasolini and Federico Fellini, whose 1972 film, Roma, would be her last. She married another Italian director, Goffredo Alessandrini, in the 1930s but they were together only briefly before the marriage was annulled. Her son, Luca, was born in 1942, the product of an affair with an Italian actor, Massimo Serato. Luca was stricken with polio as a child but Anna dedicated her life to caring for him. Luca's daughter, Olivia Magnani, born in Bologna in 1975, has followed her grandmother in becoming a movie actress. 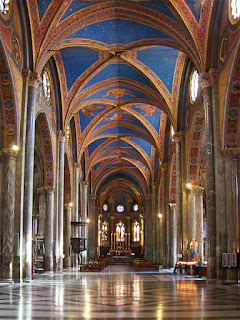 The Basilica di Santa Maria sopra Minerva is the only existing example of an oroginal Gothic church in Rome, its Renaissance-style frontage concealing a Gothic interior featuring an arched vaulted ceiling painted blue with gilded stars. 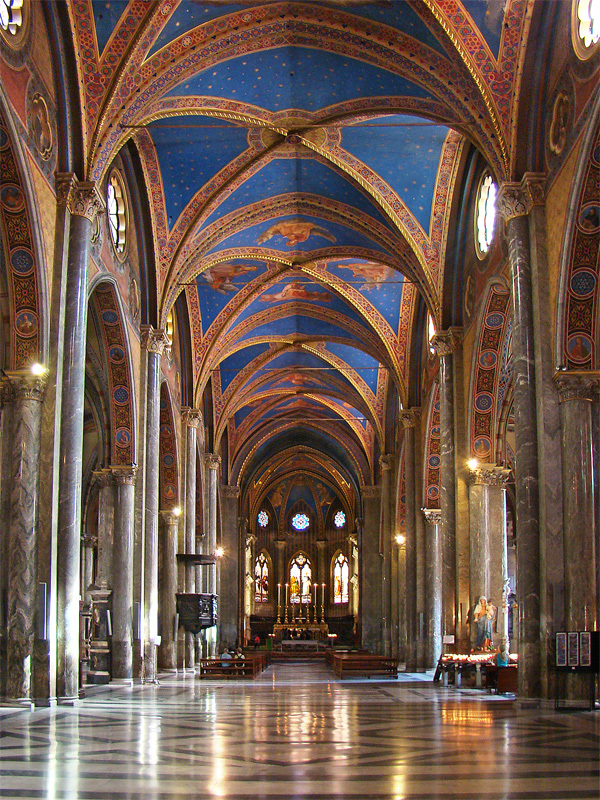 It contains a marble sculpture, Cristo della Minerva, by Michelangelo, and the strikingly beautiful Carafa Chapel, with frescoes by Filippino Lippi. 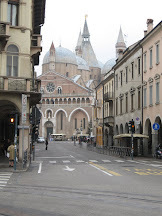 Buried in the church are Saint Catherine of Siena, the Renaissance painter Fra Angelico, and at least four popes. Porta Pia, from which the neighbourhood in which Anna Magnani was born takes its name, is a gate in Rome's Aurelian Walls, designed by Michelangelo and named after Pope Pius IV. It was close to Porta Pia that a breach of the walls made by Bersaglieri soldiers from the north of Italy enabled Rome to be captured and completed the unification of Italy in 1870. It was also the scene of a failed assassination attempt on Benito Mussolini in 1926 by anti-Fascist activist Gino Lucetti.